The Dénia campus on Spain’s Costa Blanca provides a year-round warm and sunny training venue for our PT Diploma practical courses. The accommodation package offered at this venue allows international students to attend and gain their qualifications in a focused learning environment away from the distractions and stress of normal day to day living. 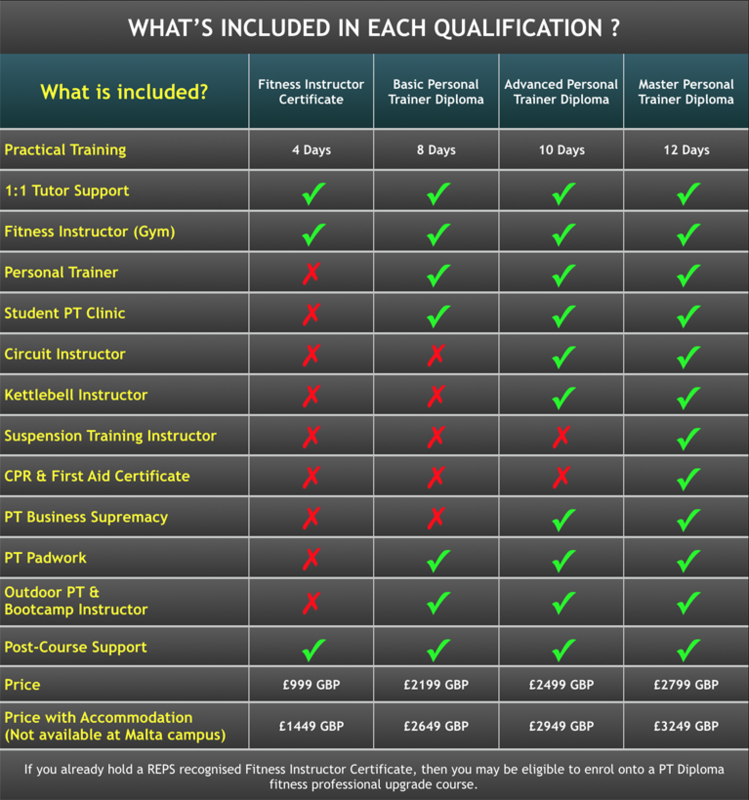 Whether you want to set up your own Personal Training business or gain employment, our REPS Level 3 Personal Training Diplomas will give you the tools! Gain an entry REPS Level 2 Fitness Instruction qualification and begin your new career as a fully qualified, competent Gym Instructor. Our Continual Professional Development courses will help you further your career, up-skill and give you the potential to earn more. Which campus would you like more info on?